Of all the things I made at my holiday party, these Poppy Seed Ham Rolls were the first to be gobbled up. In fact, I took pictures all the way through making them, and then didn’t get a picture of my final product because they went so fast! I’m not surprised. This easy appetizer recipe steals the show every single time. They are not difficult to make, and the best part is you can make them ahead and pop them in the freezer. Now, keep in mind, because you are making these with dinner rolls, this recipe can be pricey. At many places you will find these can run as much as $4 per pack of rolls, so if you want to make them, keep an eye out for a sale. TIP #1: A friend shared with me that she uses hamburger buns instead of dinner rolls to lower her cost. I love that idea. TIP #2: I use a microplane to grate the onion, so it is kind of juicy and runny. 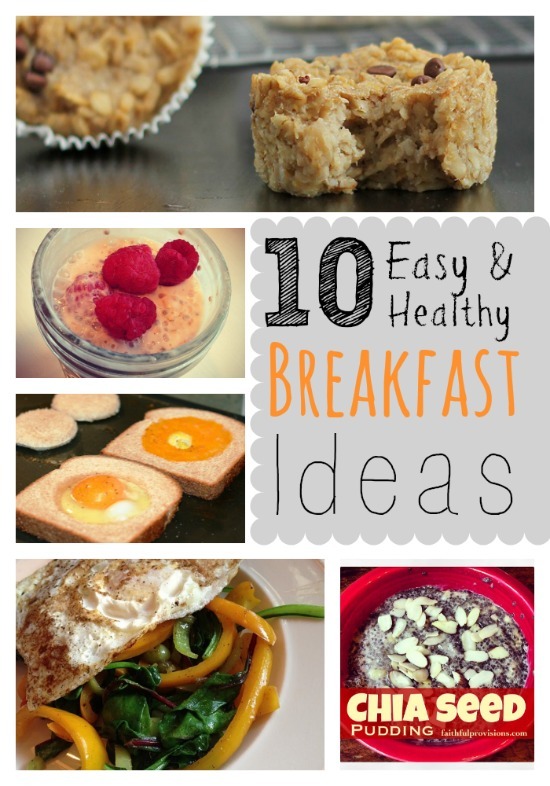 TIP #3: The poppyseeds don’t add to the taste and are pretty pricey. So, you can leave them out and they only take away from the looks, not the taste! 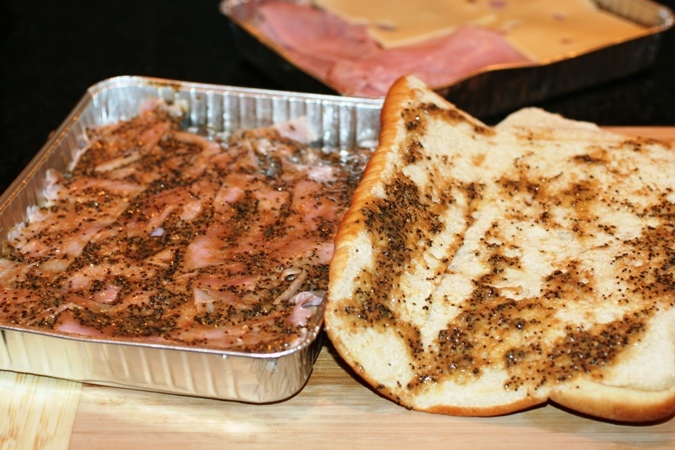 Combine butter, mustard, poppy seeds, Worcestershire, and onion into a small sauce pan and heat until butter is melted. While that is heating through, remove rolls from pan and slice in half and remove the top, like a sheet. Pour 1/4 of butter mixture on bottom layer of rolls. Then top with another 1/4 of the butter mixture. Then put roll top on. Repeat with second pan. Place in oven for 15 minutes or until cheese is melted and it is heated through. Slice along roll lines and remove from pan to serve. Pour ¼ of butter mixture on bottom layer of rolls. 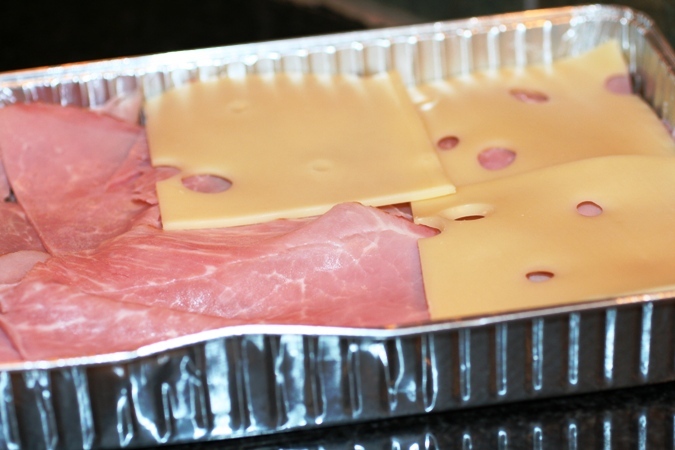 Layer ham and cheese, then top with another ¼ of the butter mixture, then put roll top on. Repeat with second pan. 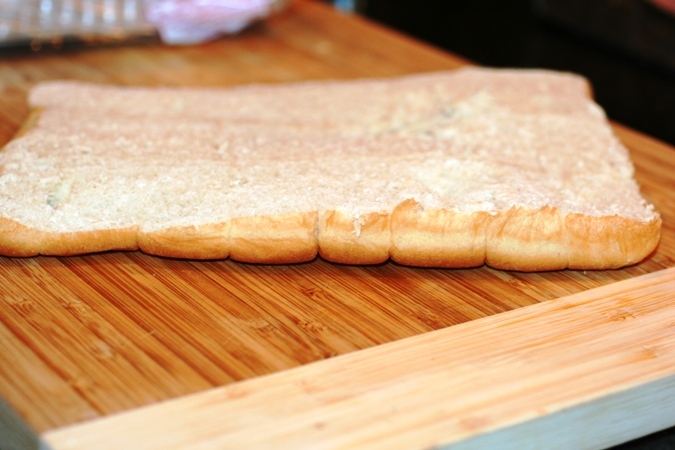 Slice along roll lines (to create individual sandwiches) and remove from pan to serve. 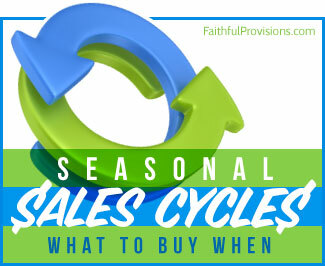 Find more Easy Appetizers Recipes on Faithful Provisions. I *love* these things!! So not good for New Year’s Resolutions, but very tasty! I’ve been making a version of these for years that may even be cheaper and a touch easier. 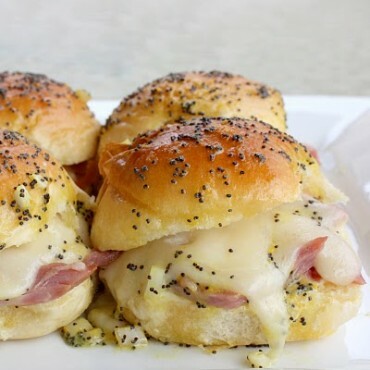 Same rolls, ham and cheese, just with honey mustard. YUM! Though I doubt I would pass up one of yours! I made these on Ciabatta bread and they were great. I made them as dinner with a salad side. My family loved them even my daughter who does not like sandwiches. I also was concerned about the fat content, so I modified the recipe a bit. I use 1/2 the butter and 1/2 light tasting olive oil. You still get the butter flavor but a little healthier. I have done this on several different hard crusted bread as well as nana bread and all were great. Anyone try it with chicken or turkey and maybe cheddar cheese? It looks like you put some of butter mixture on top of bun. Is this correct? I can’t wait to try them. I have made these several times and couldn’t find the recipe. Just to simplify, I have always just poured the entire mixture over the top of the rolls instead of layering and it works great! Whick grocery stores (and section) sell the rolls? I have the hardest time finding them.